Improving lives in their community by advancing the common good and addressing the underlying causes of problems. 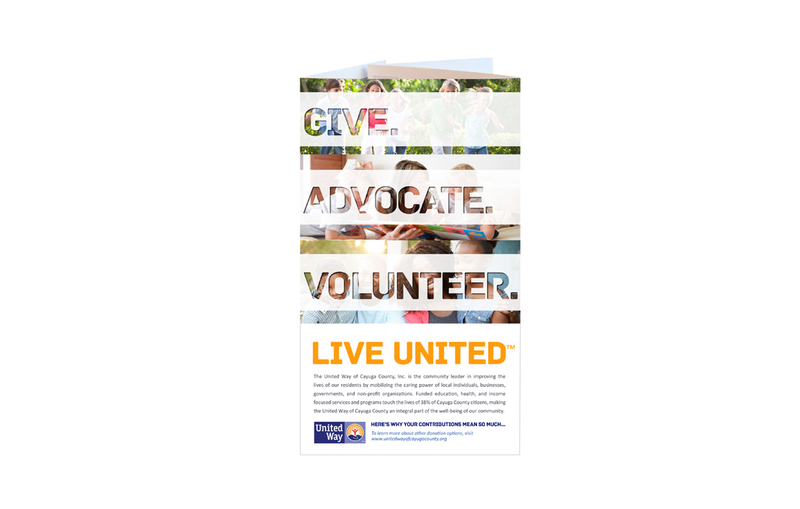 The United Way of Cayuga County needed a brochure for their 2015/2016 fundraising campaign and turned to graphic design and writing professionals, Crème della Crème Copywriting & Communication. Although the brochure needed to include a great deal of information, they wanted it written as concisely as possible. Using graphs, typography, lists, and succinct paragraphs, Crème della Crème Copywriting & Communication created effectively written content for the United Way brochure, incorporating campaign, fundraising, and current program information.